http://www.148apps.com – This site launched shortly after the iTunes App store launched in 2008. They review apps, search for free and discounted app sales, and share news about iOS applications for the iPad and iPhone. http://appadvice.com – another great site that shares information about new apps – including sales and “temporarily free or discounted” apps. Currently, they are celebrating the 12th day of the “21 Day Festivus” AppAdvice give-aways and sharing. http://www.smartappsforkids.com – a blog/website that will let you know about free/sale apps – on their website they have a great page listing FREE apps and you can do an app search for particular age ranges. 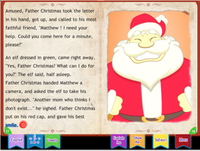 This is an interactive kids magazine for kids ages 3+. This issue is free (as of 12/14/2011 anyway), and highlights activities with 2 characters, Teo and Bianca. as they explore outer space, the circus, learn alphabet letters, learn about the human body and more. Over 30 pages of interactive activities. A pinball game that includes seven different tables and spans two separate eras – the ’80s and ’90s!. You can choose to play the classic game of pinball or go with one of the other four challenging modes. The game also includes simple tap, swipe, and shake controls, eight camera views, realistic physics, and Game Center integration. This is an app where you can create searchable notes with text, pictures and bullets. Make and manage to-do lists with checkboxes. Then keep your notes in sync using free Microsoft SkyDrive® online storage to access, edit and manage them from almost anywhere, from your PC or almost any web browser. Access your notes online at http://skydrive.com. With the free version of OneNote for iPad you can access, create and edit up to 500 notes. Once you reach this limit you can still view, delete, and sync your notes. To continue taking and editing notes, you can upgrade OneNote for iPad to unlimited use through an in-app purchase. An educational game that’s meant to help kids learn how to tell time. The game includes four different time-telling modes that has kids dragging clocks, times, and clock hands around the screen. You can also choose from five different minute increments to change the difficulty level. One of my favorite Christmas apps right now! Cut, color and style Santa Claus beard and hair! In this Christmas edition of the smash hit Toca Hair Salon, you can choose between styling Santa Claus or a funny Christmas tree!